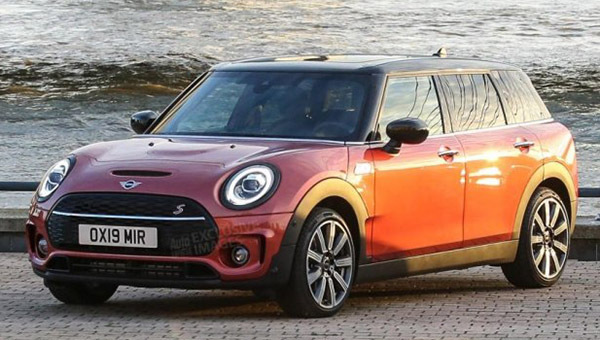 These are supposedly pictures of the revised Mini Clubman for the 2020 model year. I don't really see any changes up front. Maybe new LED light designs? In the back, it is obviously getting new lights. Similar to what the "regular" mini got last year. Mimicking the design of the British flag. Which, I think, is really cool. 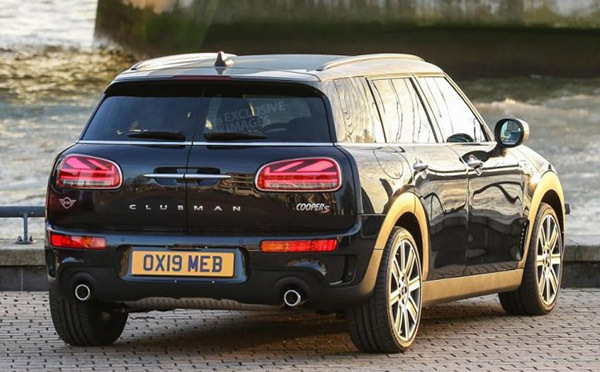 I really like the current Clubman. And think itis the most attractive and convenient model of the current Mini line up. It still looks like a Mini (Unlike the current squared off Countryman) and is actually quite roomy inside. It would benefit from body-colored cladding to reduce the apparent dip in the beltline. But then some would call it a station wagon, the pariah among autos. Declining sales 3 years in the row is worrisome in light of the bigger the more saleable these days. They need to infuse a dose of premium refinement across the board, if they want to continue staying relevant. I had a 2017 new Countryman, it was my nicest car but the seats were so horrible that I had to give it up. Plus for a new car it didn't have blind spot detection or stand Apple Car Play or Satellite radio. I currently drive a 2017 Clubman All4. It’s one of my favorite cars I’ve ever had. MINI has become far too expensive for what they are offering. BMW is pushing the limit. The love affair with MINI has ended for most buyers. I know at least two 1st- and 2nd-generation (new) Mini owners that wouldn't be caught dead in a current one. The current generation is too big and bloated, and the 4-door hardtop is a aesthetic travesty. The British flag in the tail lights is pretty badass.